Attorney General Loretta Lynch referred two Board of Immigration Appeals (BIA) decisions to herself for review [PDF version].1 The decisions are Matter of Chairez [PDF version] (decided February 11, 2015) and Matter of Sama [PDF version] (decided July 17, 2015).2 Pending the Attorney General's review, the BIA's decision in both cases are automatically stayed, and Matter of Chairez will have no precedential value. The Attorney General is reviewing the cases to determine whether they are consistent with the Supreme Court's decision in Descamps v. United States [PDF version] (decided June 20, 2013). In this article, I will explain how this referral process works, the main issue that the Attorney General is considering, and the possible effects of this review going forward. How does the Referral-Process Work? The BIA is the highest administrative body for review of immigration decisions and interpretation of immigration laws. The United States Attorney General is the head of the Department of Justice (DOJ) and the chief law enforcement officer and lawyer of the United States government. (i) The Attorney General directs the Board to refer to him. This regulation allows the Attorney General to refer any BIA decision to herself for review. For this order, Attorney General Lynch directed the BIA to send her Matter of Chairez and Matter of Sama for her review. Why does the Attorney General Want to Review these Decisions? In order to understand what the Attorney General will be assessing, we must first look at the Supreme Court's decision in Descamps v. United States. The Descamps decision addressed the Armed Career Criminal Act (ACCA), which provides for increased sentences for certain federal defendants who have three prior convictions “for a violent felony,” including “burglary, arson, or extortion.”3 In determining whether a person is subject to ACCA sentence enhancement, courts must determine whether the prior convictions were for a qualifying “violent felony” crime. The Categorical Approach: The court compares the statutory elements of a prior conviction with the elements of a generic crime (or what the offense is commonly is commonly understood to constitute). The only concern in the categorical approach is how the statutory definition of the crime compares to the elements of the generic crime in question. For example, in Descamps, Descamps was convicted of a crime in California which provides that a “person who enters” certain locations “with intent to commit grand or petit larceny or any felony is guilty of burglary.”4 If the categorical approach is used, the court must compare the elements of the crime described by the California statute with the generic elements of generic burglary. Effectively, this requires the court to ascertain whether the minimum proscribed culpable conduct in a statute satisfies the standard of “burglary,” as that crime is commonly understood. The Modified Categorical Approach: The modified categorical approach may be used when a conviction is for a crime that is defined by a “divisible statute.” A divisible statute sets out alternative disjunctive elements (or sets of elements) and provides that proof of any one of those elements (or sets of elements) results in a conviction under the statute, notwithstanding that the record may not be clear under which alternative the conviction is based. 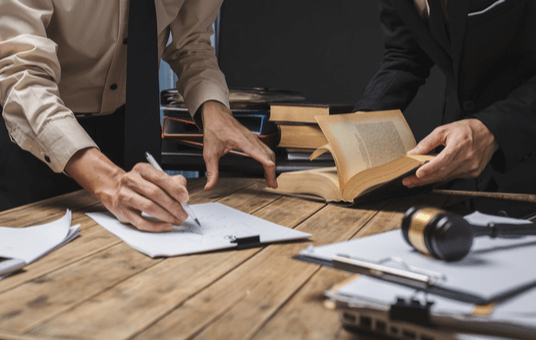 A court applying the modified categorical approach will look at the different elements of the statute and question and use limited documents and records to determine which element of the statute led to the conviction. With regard to burglary, the Supreme Court used as an example a statute that addresses a “burglary involving entry into a building or an automobile.” In such a situation, a court using the modified categorical approach would be permitted to consult a limited class of case documents and records to determine, if possible, whether the conviction was for a burglary based upon entry into a building or a burglary based on entry into an automobile. However, the Supreme Court reversed the Ninth Circuit in Descamps. The Supreme Court held that the modified categorical approach does not apply to statutes “that contain a single, indivisible set of elements.” It further found that the California statute defining burglary as entry “with intent to commit grand or petit larceny or any felony is guilty of burglary” was such a statute with an indivisible set of elements. Accordingly, the Ninth circuit's use of the modified categorical approach instead of the categorical approach was inappropriate. Under the latter approach the only thing that a court may consider is whether the single set of elements that comprises the statute constitutes the generic crime that would trigger a longer conviction. Thus, the Supreme Court narrowly limited the use of the modified categorical approach to divisible statutes, that is, statutes that describe different potential offense elements in the alternative, such that just by reading the statute, it is not clear which specific conduct led to the conviction. For a statute such as the ACCA which includes the generic crime of “burglary,” the modified categorical approach would have been appropriate if Descamps was convicted under a divisible statute such that one potential offense listed under the statute he was convicted of constituted “burglary” whereas a different potential offense did not. However, because the Supreme Court found that the statute Descamps was convicted under had a “single, indivisible set of elements,” it held that the modified categorical approach was inapplicable to that statute. Although the BIA is the top immigration administrative review body, it is bound by Supreme Court precedent just as are all lower federal courts. Thus, it would be impermissible for the BIA to render a decision that stands in direct conflict with Supreme Court precedent. This brings us to the BIA's decisions in Matter of Chairez and Matter of Sama. With regard to immigration law, the issues addressed in Descamps are applicable to how an Immigration Judge, the BIA, or an appellate court must determine whether an alien was previously convicted of, for example, an aggravated felony in immigration law or a crime of moral turpitude. Matter of Chairez was a precedent decision by the BIA concerning a lawful permanent resident (LPR) who was convicted of felony discharge of a firearm in Utah.5 The DHS argued that this constituted an immigration aggravated felony under the category of a “crime of violence.” In support of this argument, the DHS characterized the Utah statute as “divisible” in that its elements alternatively included the “intentional” and “knowing” discharge of a firearm (both “crimes of violence”) as well as the “reckless” discharge of a firearm (not a “crime of violence”). The Immigration Judge agreed, and it applied the modified categorical approach in evaluating the statute and the record of conviction in determining that the respondent had been convicted of the crime based upon the “knowing” discharge of a firearm. Thus, he was removable based upon having an aggravated felony conviction. In its initial decision with regard to the case [PDF version], the BIA rejected the DHS's argument because it interpreted Descamps as requiring jury unanimity for a criminal conviction.6 Simply put, under the BIA's reading, unless the statute requires that the jury be unanimous with regard to the defendant's state of mind when discharging the weapon, the statute is not divisible. Because the Utah statute does not require jury unanimity on whether the discharge is “intentional,” “knowing,” or “reckless,” the BIA found that the Immigration Judge erred in applying the modified categorical approach. However, the Tenth Circuit (note that the Tenth Circuit includes Utah) disagreed [PDF version], interpreting Descamps as not requiring jury unanimity with respect to different elements of an offense in order for the statute to be divisible. BIA granted the DHS's motion to reconsider its decision.7 Upon review, the BIA reversed its earlier decision, finding that the Utah statute was divisible. After finding that the statute was divisible, the BIA held that the Immigration Judge's use of the modified categorical approach had been appropriate, and held that the respondent in the case was removable due to a conviction for an aggravated felony. However, it is important to note that the BIA held that this interpretation of Descamps is required only in areas under the jurisdiction of the Tenth Circuit. For immigration proceedings outside of the Tenth Circuit, the BIA would be free to rely upon its original reading of Descamps (unless the circuit in which proceedings were taking place had interpreted Descamps differently). As we see from the two Matter of Chairez [PDF version] decisions and Matter of Sama, the BIA was slated to apply different approaches to determining whether a statute is divisible in different circuits. In areas covered by the Tenth Circuit, the BIA was compelled to adopt a broader approach than the approach it continued to implement outside of the Tenth Circuit and, specifically, in Matter of Sama. The Attorney General has referred these two cases to herself for review likely in order to establish uniformity in the BIA's interpretation of Descamps. The Tenth Circuit's interpretation of Descamps allows for more convictions to qualify as aggravated felonies than what appears to be the BIA's preferred approach. For this reason, the outcome of the Attorney General's review will have significant consequences for persons in immigration proceedings due to aggravated felony convictions. Once the Attorney General renders her decision, I will discuss it on this blog. Please continue to follow my blog to read about the latest important immigration news.